FHA mortgage has benefits and it is credit for those looking to make a low down payment, but FHA mortgages have pros and cons. Buying a home is exciting, but sometimes getting a mortgage loan is a problem. The borrower needs to study number of choices, get some positive and negative responds from mortgage lenders and go through pages and pages of paperwork. One of those options are Federal Housing Administration (FHA) mortgages. 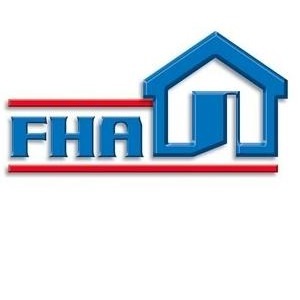 The FHA mortgages are secured bank loans by the Government from the Department of Housing and Urban Development. Many people choose this type of home loan because it has some lesser restrictions than conventional requirements from commercial mortgage lenders. Another benefit of the FHA mortgage loan is that it comes with a possibility of making a down payment as low as 3.5% of total loan amount, which helps first-time home-buyers. If you want to buy a house for the first time, the benefits of an FHA mortgage loan sound almost ideal. But not all benefits. Some people think getting an FHA loan is difficult and it depends on the property. But that's not necessarily true because FHA follows the same guidelines as any home loan provider does. Larry Garcia of Wells Fargo Los Angeles tells LAOpinion that there are more similarities than differences between FHA loans and a traditional mortgage loans. However, there are some extra forms to fill for the FHA and the process takes the same amoutn of time. Getting to a lower down payment through FHA depends on your credit score. If you have a score of 580 or more, you may be able to be approved with a down payment of 3.5% of the total, according to bankrate.com. With a lower credit score you should be prepared to invest up to 10% of the house as a down payment..
Do I have to pay PMI if I put 20 percent down? Yes. One disadvantage of the FHA mortgage is that PMI insurance is to be paid. In a conventional mortgage loan, if you make a down payment of less than 20% of the value of a home, you'll pay mortgage insurance to the bank, which is called Private Mortgage Insurance (PMI) until you pay 20% of home. Typically they cost between 0.5% and 1% of the loan amount. The difference between a conventional mortgage loan and FHA loan is that insurance must be paid even if you put down 20 percent. It must be paid until the end of the mortgage. The good news, however, is that several months ago the FHA reduced the insurance's annual rate from 1.35 to 0.85 percent for a 30-year fixed rate mortgage. Speaking of FHA mortgage rates: these loans come with slightly lower rates than conventional mortgage rates are. Before choosing a mortgage, consider many elements. If you have 20% of the value of a home for a down payment, chances are you have other more convenient options that an FHA loan. "You can save a lot on closing costs, for example, if you have a higher down payment and a good credit score," Garcia explains. Sometimes a PMI may be cheaper than the Mortgage Insurance Premiums (MIP) of an FHA mortgage. In fact, there is a Wells Fargo program that provides an initial payment of 2% for houses in certain areas of the country. For many, the Community Mortgage Program Development Program may be more appropriate. You just have to take your time and study all your options before deciding which type of mortgage program to take.